Wow. You may know by now that I love minimalism in design and I stand by that philosophy in what I wear on the bike. Simple, clean design. It’s fantastic. 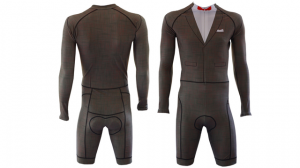 Well, the good folks at Gizmodo have uncovered a collection of hideous cycling kits. I have to admit, though, some of these are pretty hilarious. I could see them for some novelty purpose, but no one in their right mind should wear these things with any regularity.